Among the stuff Carl sent me, this is one of the mementos from his treasure trove of Silver Laughter material. 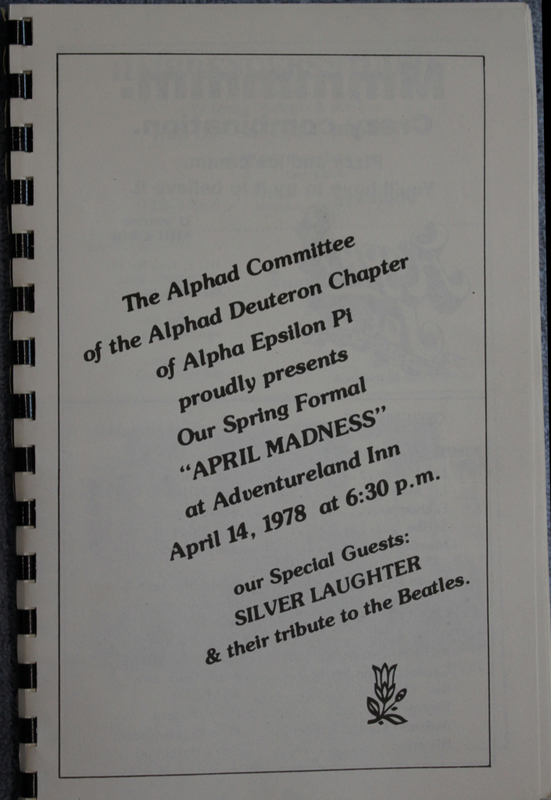 Looking back at the April 1978 booking calendar on April 14 I had marked down Drake’s University as the venue we played. However, from the booklet that is shown here, it was actually a dance put on by one of its fraternities. We were very big in college towns!